Arrive at Bangalore Railway station and transfer to hotel, On arrival immediately check in to hotel & in the afternoon leave for local sightseeing .of Bangalore it Covers Cubbon Park, Visweswaraya Industrial & Technological Museum, Tipus palace, Ulsoor Lake, Lalbagh, Iskcon temple, Board Shiva temple, Botanical garden, Vidhansoudha,& Evening Free at M.G.Road For Shopping and overnight stay at the hotel Stay at Hotel. After breakfast drive to Mysore enroute visiting Srirangapatanam, which was the capital of the warrior king Hyder Ali & his son Tipu Sultan, having magnificent monuments. Later check into the hotel. 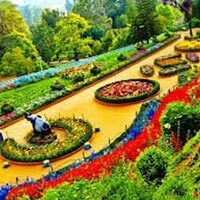 & in the After Noon Visit Chamundi hills, Mysore Zoo, St.Philomenas Church, lalita Mahal Palace & evening visit Brindavan Gardens.which is famous for musical Colour Fountain, Overnight stay at hotel. 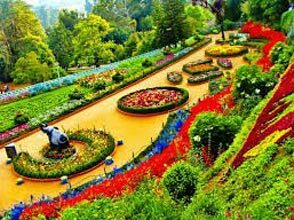 Morning after breakfast drive to Ooty , On Arrival Immediately check into the hotel Rest day free for the Rest & in the Evening Visit to Ooty lake, Rose Garden etc & than Come back to hotel. Overnight stay at hotel. After breakfast visit Doddabetta, a highest point in Ooty, proceed to a beautifully landscaped Botanical Garden. In the After Noon Proceed for Coonoor (19Km by Road ) which is very Famous for Tea gardens, Visit Lambs Rock & Dolphin Nose & back to Ooty , Over Night Stay at Hotel. Today transfer to Bangalore airport/station for onward journey. Tour ends. Note this cost is from Bangalore to Bangalore only. From Bhopal to Bangalore the Railway or Flight fare extra as on actual.